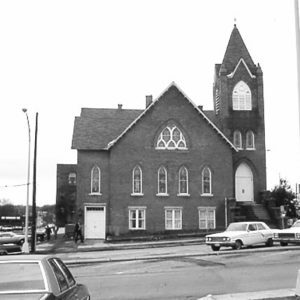 Built c. 1899-1903, this church was organized soon after the Civil War by Rev. James R. Rosemond. Although born a slave in Greenville in 1820, Rosemond had been allowed to preach at churches before the Civil War. After the war he organized 50 Methodist Episcopal churches in the upstate, this being one of the earliest. The architecture is an excellent example of Gothic Revival church architecture of the late 19th and early 20th centuries.